Lately we’ve been counting stars, and we don’t mean in the sky! 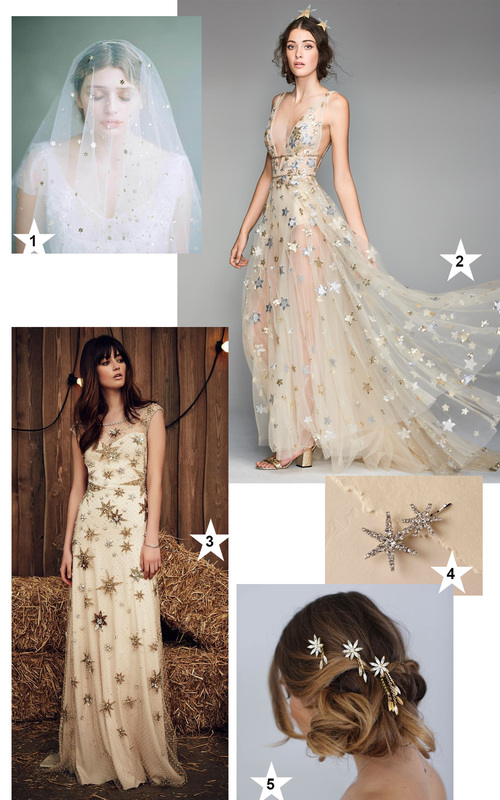 Over the course of the past few months, we’ve been mystified, utterly enchanted, and quite frankly, starry-eyed over all the celestial-inspired designs we’ve been seeing in both fashion and weddings! 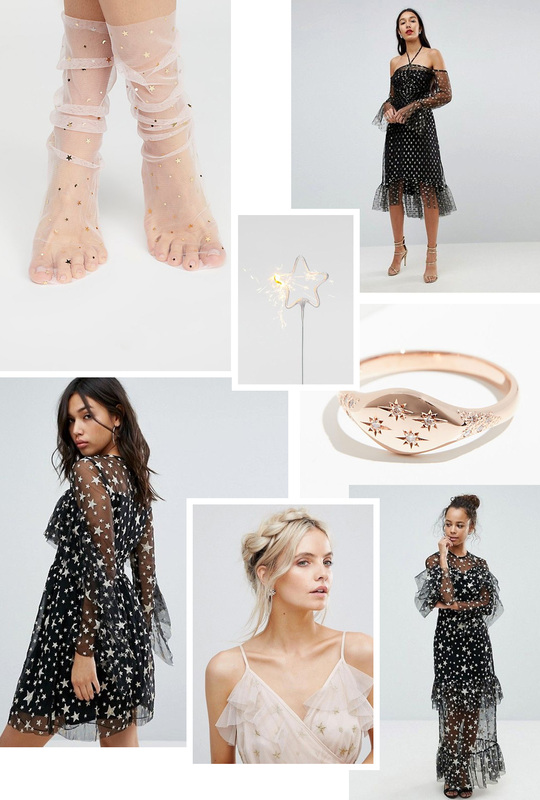 From star-spangled fabrics, to dazzling luminous hair pieces, and even shoes mimicking the celestial bodies (as if they were made for a Greek goddess), we’re all for it… Interstellar. Intergalactic. Astronomical. Whatever the word to describe it is, we’re giving this trend the gold star, that’s for sure! Are you thinking stars could be a fun detail to include on your wedding or for your next event, just don’t know quite how? Don’t you fret! We’re sharing all of our favorite star-studded designs + accents that will bring the sun, moon, and stars straight to you! 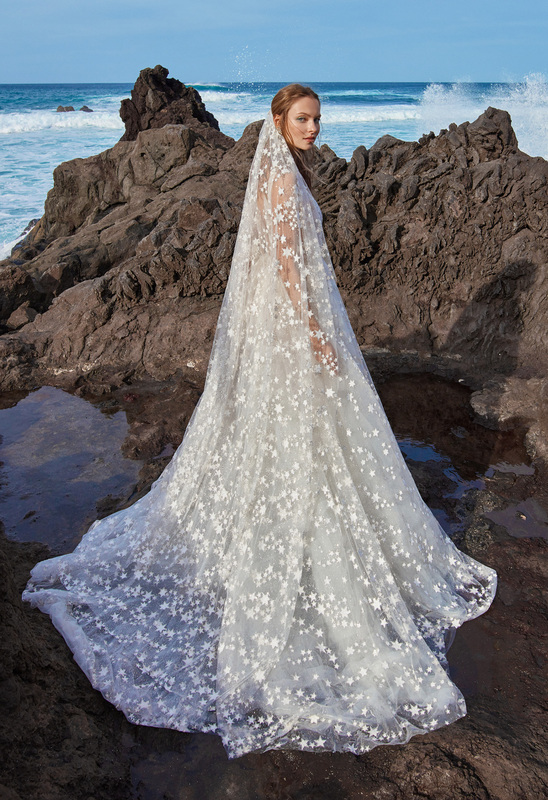 How dreamy is that star veil by Galia Lahav?!?!? Where Else Have We Seen Stars? We’re glad you asked! 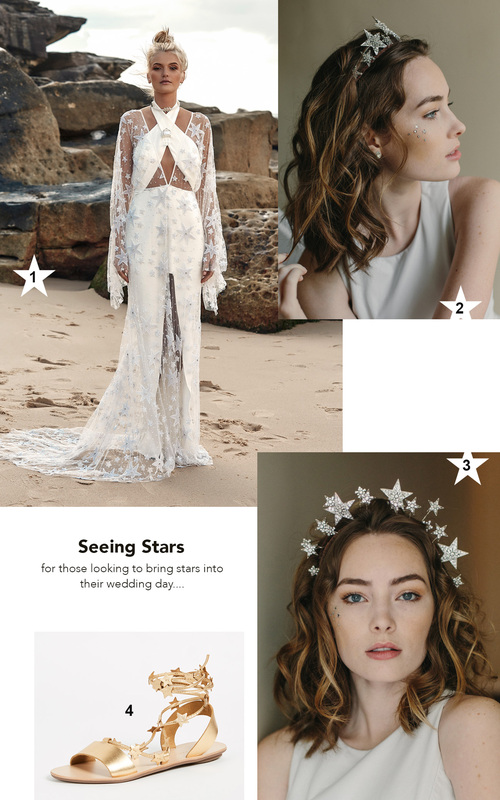 Back in July of last year, this Natalie Wynn Design gown had us seriously starstruck… And after that, we couldn’t help but notice the stars popping up, well, everywhere! Soon after, we were absolutely enchanted by all the celestial-inspired designs from this vow renewal in Malibu. Not to mention all the moon + star details that were seen throughout this desert wedding! And, more recently, this Palm Springs editorial featured the most glamorous glittering gown, covered in… you guessed it — STARS!